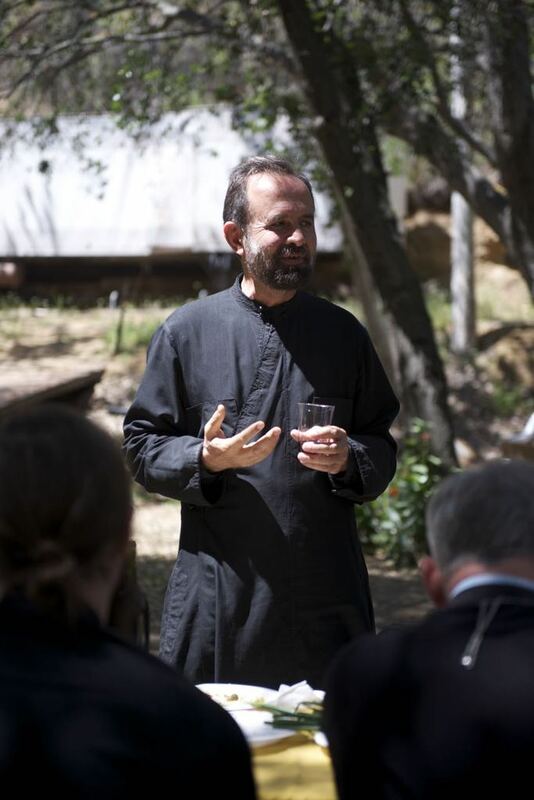 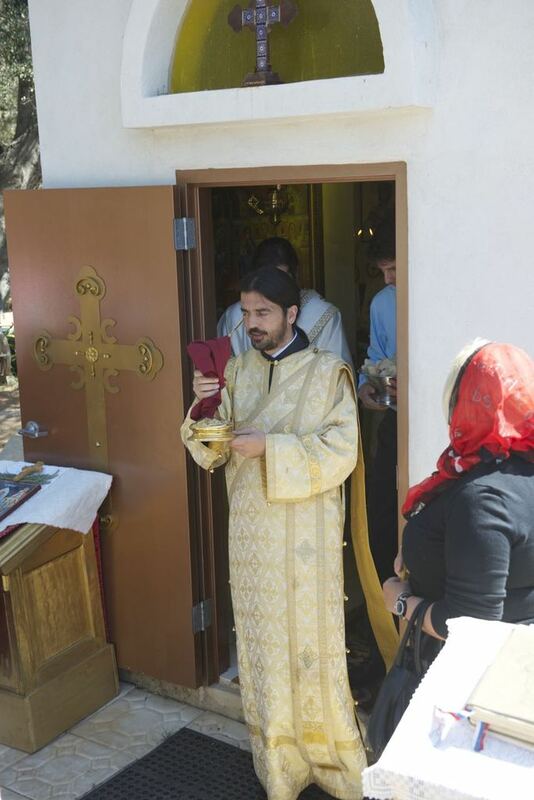 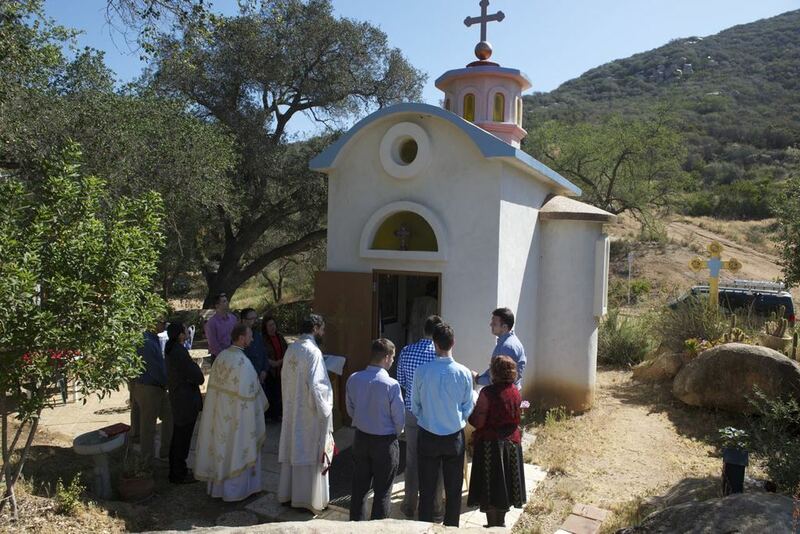 Escondido, CA - On Tuesday, April 14, 2015, at the small chapel located in the beautiful hills of the Sretenje Monastery in Escondido, His Grace Bishop Maxim and Clergy from the Southern California area celebrated the Divine Liturgy of Bright Tuesday, together with visiting seminarians from the St. Sava School of Theology in Libertyville, Illinois and the faithful from the nearby parishes. 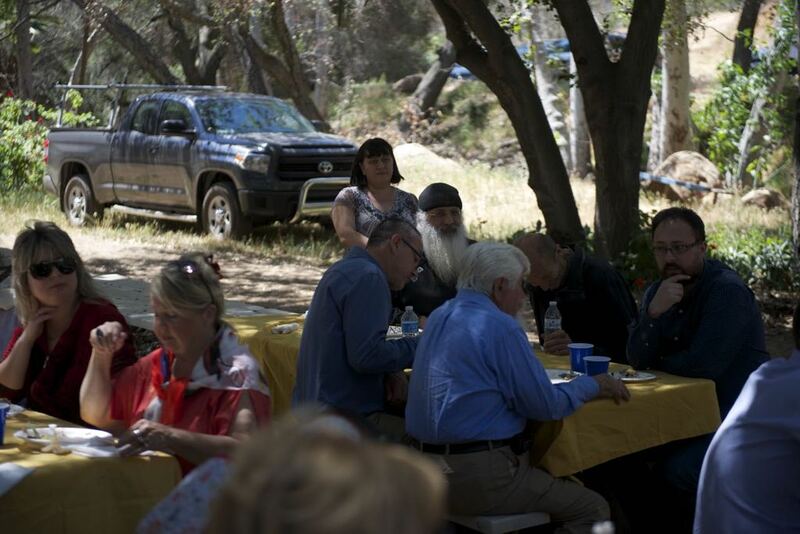 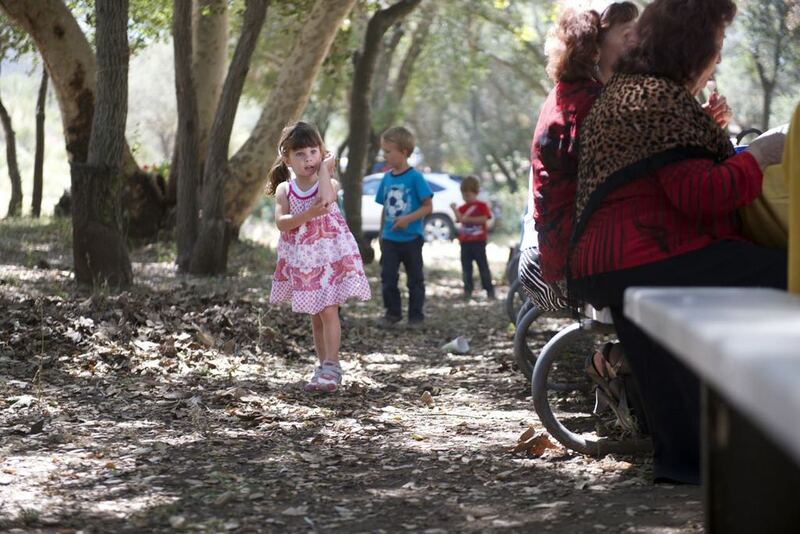 At the conclusion of the Divine Liturgy a festive picnic-style luncheon was held outside under cover of the magnificent monastery trees. 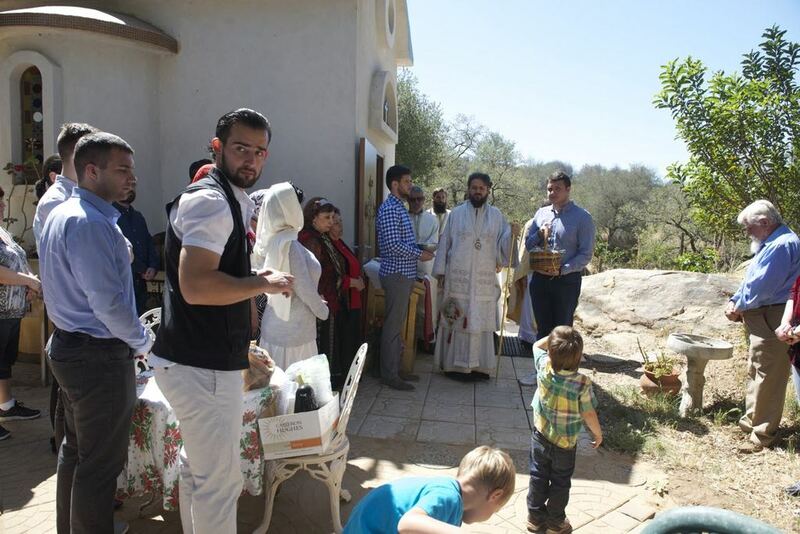 Parishioners from the neighboring parishes prepared a delicious lamb meal and provided refreshements for all who joined in the Bright Tuesday celebration. 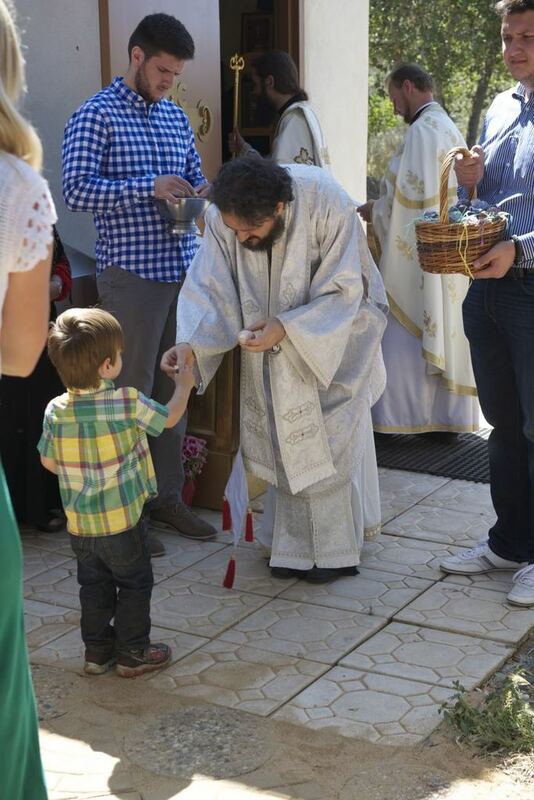 As the children played and ran about the Monastery grounds, His Grace Bishop Maxim, the clergy, the seminarians, and the faithful enjoyed a beautiful relaxing afternoon of fellowship.